New Jersey | She speaks. The New Jersey State Senate just passed Bill A500 that abolishes the use of Regional Contribution Agreements (RCAs) regarding a municipality’s Council on Affordable Housing (COAH) obligation. The bill passed the Senate with a vote of 21 Yea, 16 Nay. It now ventures to Gov. Jon Corzine’s desk. Hallway whispers speak of the Governor already agreeing to sign the bill, were it to reach his desk. Time for Corzine to made good on his word. The video below was taken during the bill’s voting session in Trenton. Check back shortly for more coverage of the bill’s passage. 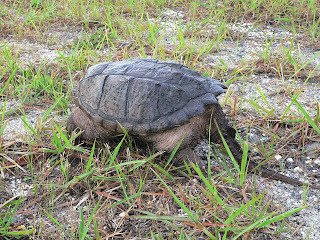 New Jersey recreation: Egrets, turtles and geese, oh my! My weekends often consist of at least one drive to hunt down some of the Jersey Shore’s most prized possessions: Its varied wildlife. Forget the bennies, shoobies and nudists. The Shore has some of the nation’s coolest creatures, right in our backyard. Living in Ocean County, I often think I have the best of all worlds. We’re close enough to the ocean, but the bay is our playground. It feels like home, yet there is so much to explore, so many niches we haven’t explored. 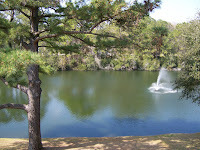 Below are some pictures I took during a drive in the Bayville area. The bird is a white egret and the turtle, a snapper. 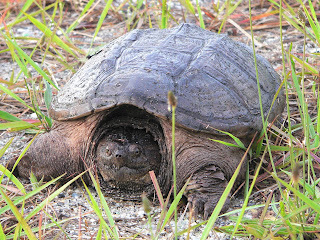 It was observed how the turtle is probably very old, given its external state. Assumed a male, he certainly had some pep in his step. 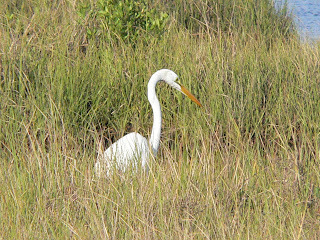 The egrets are common in our area, as are red shoulders. The latter are small and quick, though, and I haven’t been able to catch them on my camera yet. 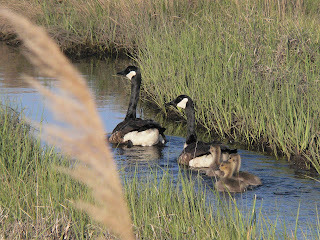 To learn more about birding in New Jersey, visit this Web site. To learn more about birds in general, the New Jersey Audubon Society is a good place to start. New Jersey Gov. Jon Corzine said yesterday the state cannot “afford” a gas tax break. N.J. can, however, continue to boast the third lowest gas tax rate in the nation, at about 14.5 cents per gallon. Corzine said alleviating the tax, which would certainly give residents some monetary relief, would risk projects to cut congestion and improve mass transit. At this rate, I don’t think Corzine should be worrying about cutting congestion and improving mass transit: No one is going to be able to afford to travel if gas prices keep skyrocketing. What will eventually start increasing are bicycle sales. Just last month, I remember a gallon of of regular gasoline being just under $3. We all reminisce about the days when gas was anywhere from $1.50 to $2 per gallon. Remember those days? Corzine said the state is battling budget deficits and will run out of money to pay for transportation improvements in three years. To that I say, GOOD. Let the budget run out of money for transportation. Then maybe this state will focus on projects and issues that are actually important, such as education and health care. I hope Corzine drives a giant SUV that costs hundreds of dollars to fill every week. He won’t cut a break for us, I see no reason why any breaks should be cut for him. Then again, I’m sure it’s “just our tax dollars” that eventually pay for his gas anyway. Who would have thought I might actually enjoy birding? It happens to be one of the greatest pastimes in New Jersey, both of Monmouth and Ocean County. These pictures were taken near my home, where birds such as osprey, snowy egretts and great blue heron are free to fly and live in peace. 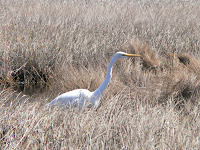 Nests are set in far in the marsh where they cannot be destroyed by human hands. These birds are truly just beautiful. The rawness and perfection of nature never ceases to amaze me. I recommend seizing any and every opportunity to bird watch, particularly along the Jersey Shore. 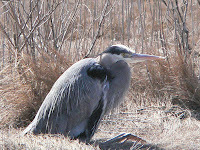 To learn more about local birds and bird watching, visit the Monmouth County Audubon Society Web site. Look specifically for bird walks through Sandy Hook. 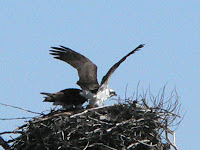 Visit the National Audubon Society for even more information. According to an article in today’s copy of Island Today, Beaufort County doesn’t want to cut future school budgets and is doing something about it. On Thursday a bill passed the South Carolina House of Representatives that would save the county schools $2.4 million next year if the state Senate upholds the budget amendment. According to the article, the bill ensures that no school district receives fewer dollars in state funding next year than this year through the 1977 Education Finance Act funding formula. Basically this formula appropriates state funding based on property value. Districts with higher value have typically been given less funding. Beaufort County is considered the third wealthiest in the state of South Carolina. I can see why they’re passionate about this bill, then. I also like the idea of appropriation based on need rather than property value. Many “wealthy” districts are shafted because they are apparently able to pay for their own school district. Or at least that’s what their state thinks. While yes, the wealthy should have more responsibility when it comes to financial and humanitarian issues, it should never be a question whether or not education is taken care of. Part of that responsibility rests in the state. Why isn’t this bill proposed in more states? I also pose this (more important) question: Why the heck is this bill protecting people with money, for the most part? Poor districts should never have their funding cut to begin with. More often than not they can’t support their own school systems. This results in debt and mediocre education. When will people just realize that these gorgeous little children are the future? S.C. raises a point and I still don’t understand why poorer districts continue to suffer. 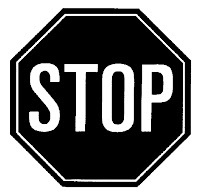 Yes, all districts will have a bottom number. But will districts with less “value” be considered for more funding? I certainly hope so. With that being said, it might be a realistic idea that New Jersey consider such a bill. At this rate we’re going to need all the help we can get where the education system is concerned.